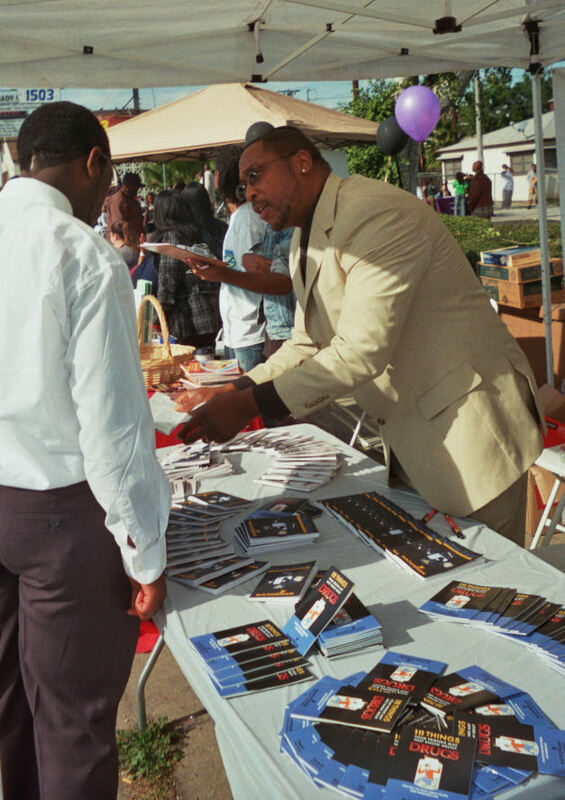 On Saturday, January 16th, in honor of the birthday of Dr. Martin Luther King Jr., Narconon California participated in the Los Angeles County Sheriff's Multi-Faith Clergy Council and the HOPE for Life Foundation sponsored “Community Day” events. Over the years “Community Day” activities have honored the memory and spirit of unselfish service set by Dr. King. Following the 10 annual Multi-Faith Prayer Breakfast, attended by many diverse religious and community leaders; the festivities began on the blocks of Manchester Blvd. “We were able to network with other non-profit groups who also care about helping our children stay free of drug abuse and alcohol abuse. We can work together to keep our youth’s creativity and goals alive. Community Day is an annual event established to share with the community many of the necessities of life they may lack and to provide available resources to improve their lives. If you or someone you love needs help with drug or alcohol addiction call 800-405-8409.